Panel discussion from the second Science Journalists’ Network Workshop. 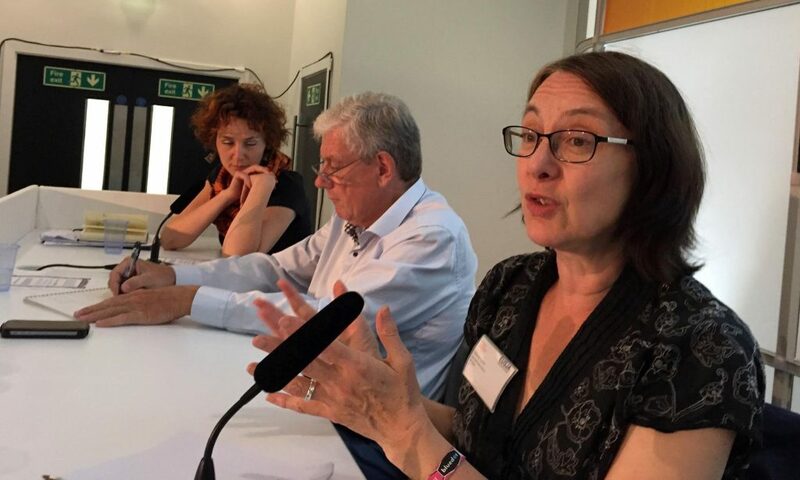 From left to right: Elisabetta Curzel (Freelance journalist), Jean-Pierre Alix (Board member of Euroscience), and Deborah Cohen (Edito, BBC Radio Science Unit). It’s a fairly common question when you are getting to know someone, and speaks to the importance we place on our jobs and the work we do. But roles are rarely static, and responsibilities shift with new expectations, technology, and outside pressures. How does a profession adapt to these changes? Science journalism is one example of a field currently navigating a swell of transition. Social media, new publishing processes, and accelerated reporting schedules are offering new opportunities as well as challenges. In addition, as universities pursue their own communication through press offices and outreach departments, the boundary between the work of journalists and institutions is blurring. With so many shifts underway, many questions naturally follow: How can engagement approaches be balanced by investigative ones? How can both the inspiring and the controversial sides of research be presented? And how does this fit into a new world of journalism? To answer these questions, the NUCLEUS Science Journalists’ Network is investigating how to take newsroom ethics into the modern age. 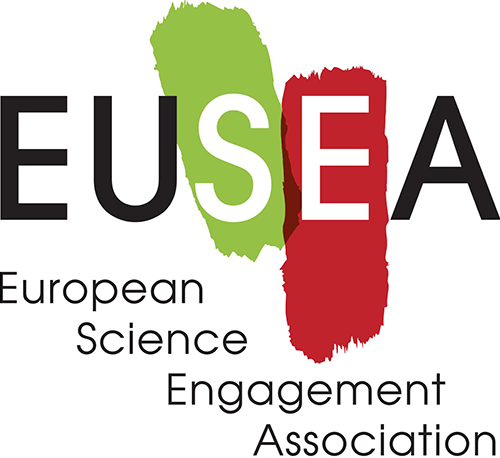 Coordinated by the European Union of Science Journalists’ Associations (EUSJA), it explores professional challenges faced by journalists, and how they can coexist with growing expectations for responsible research and innovation (RRI) – and the increased communication from academic institutes that accompanies RRI. “Our goal is to make it easy for science journalists to find information about RRI, to have a place to discuss and eventually to find guidelines and tools that can have a practical use,” says science journalist Berit Viuf, who is coordinating the network with fellow science journalist Gorm Palmgren. The network is being grown through a facebook group and workshops, with a website and multimedia to follow. 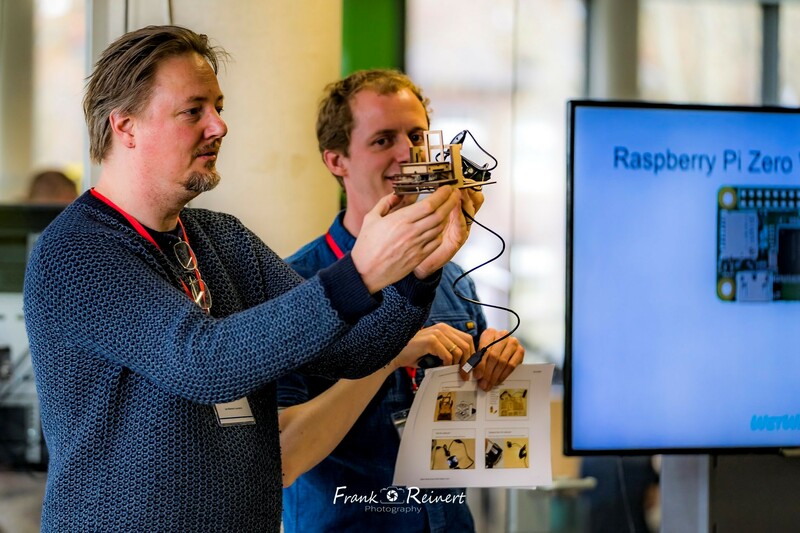 The most recent workshop was held 23 July 2016 in Manchester, at the European Conference for Science Journalists (partnered with the 2016 ESOF conference). This followed the first held 2 May, 2016 at a meeting of the Finnish Association of Science Editors and Journalists. 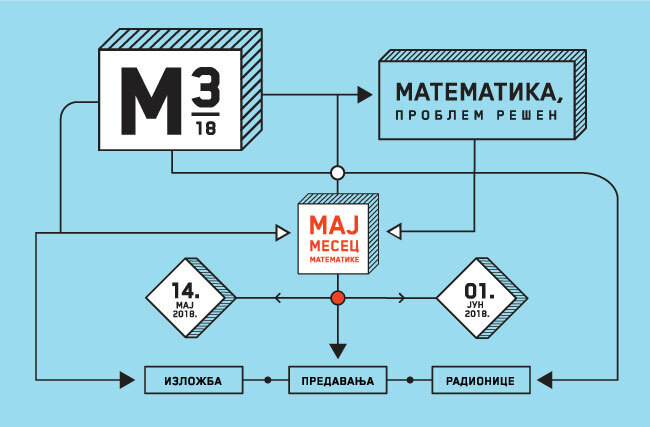 The workshops draw on the perspectives of journalists, editors, and scientists to address ethical questions, such as how to represent research in a balanced way during its early stages, or how to tackle serious or controversial issues while under economic pressure for funny and fascinating stories. 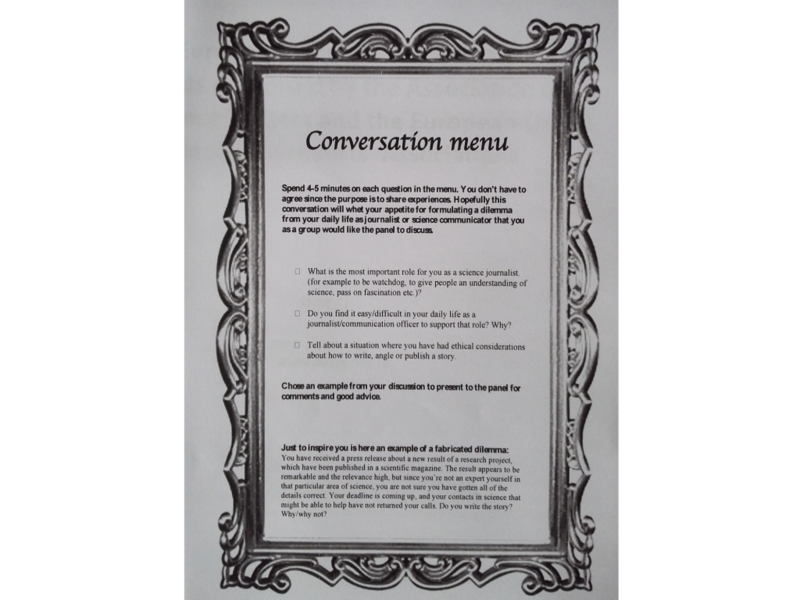 A “Conversation Menu” of questions to spark discussion amongst participants of the 2nd Science Journalism Workshop in Manchester, UK. 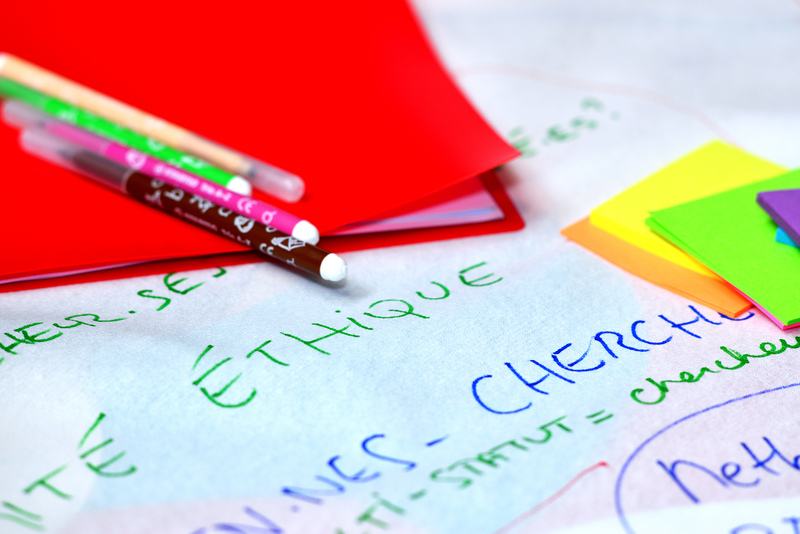 By finding the pressure points and drawing widely from international perspectives, the Network aims to spark discussions and develop guidelines to support journalists in their work. These insights into the profession will also shed light on how the university and media “cells” interact with each other, and contribute to the communication policies developed by NUCLEUS to implement RRI in universities. To keep updated with the latest information from the Science Journalists’ Network, follow the Facebook group NUCLEUS and EUSJA.